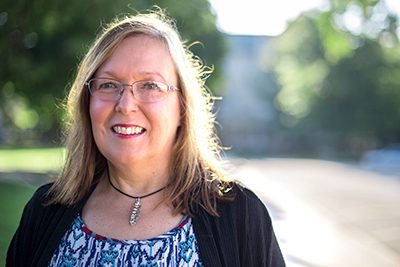 With the growing health sciences programs at Sterling College, Debbie Rogers joins the Department of Natural Sciences and Mathematics. She has teaching experience as a graduate teaching assistant at a public university, adjunct instructor in both community college and private Christian College institutions, and high school biology teacher at a private Christian school. Debbie is finishing her dissertation titled “Fibroblast Growth Factor Receptor 1 influences functional communication between astrocytes and neurons” to earn her Ph.D. in Environmental and Evolutionary Biology from University of Louisiana at Lafayette. Debbie infuses her passion for Biology into every class and designs her classes to be interactive allowing students to delve deeper into understanding physiological processes of anatomical design. In teaching anatomy and physiology, she stresses the amazing way anatomical organization leads from molecules to cells; progressing to tissue and formation of organs; to ultimately the organism. Each stage of anatomical organization has its own physiologically important function in the development of a complete individual. Exploring the intricacies of anatomical form with physiological function provides a foundation for the student to begin to understand the basis of normal and abnormal clinical states. Her desire is to inspire her students to develop their questions, seek their answers, and achieve their goals. Debbie’s research focus is in neurobiology. Her current research involves the investigation of an endogenously produced protein (FGFR1) and its physiological ability to influence cell to cell communication between astrocytes and neurons. FGFR1 has been proposed to be a therapeutic target in the battle for overcoming depression. M.S. in Physiology from Louisiana State University Medical Center, Shreveport, Louisiana.